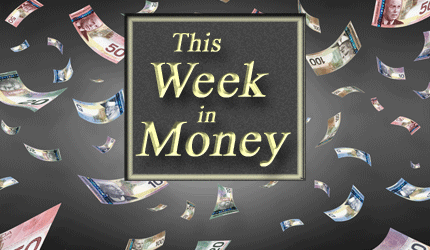 Ross Clark – Steel and Aluminum Tariffs, Trans Mountain Pipeline, Nasdaq and Russell 2000. Gerald Celente – Beginning of the End for the Euro and the Euro Zone. Gold. Danielle Park – Debt, Interest Rates, and Oil Pipeline. Larry Reaugh President & CEO of American Manganese Inc. on Company Showcase – CEO to Speak at International Mining Investment Conference – May 15. Warrant Exercise coming to an end. See Larry’s Presentation at the Cambridge House International Mining Conference Tuesday May 15, at 1:30 pm. Read the Latest News. Read Fundamental Research Report on American Manganese. See AMY Business Plan. View the AMY Powerpoint. Scott Eldridge President & CEO of Arctic Star Exploration on Company Showcase – Introduction to Arctic Star Diamonds. Arctic Star Doubles Land Position in Finland. Read the Latest News. View the Corporate Presentation. Ed Steer – Silver and Gold. Don Mosher Corporate Development at Cypress Development Corp. on Company Showcase – Cypress Expecting New 43-101 Resource Shortly – Lithium Claystone Deposit in Clayton Valley, Nevada. View the Corporate Presentation. Ross Clark – Markets test February lows. Yield curve continues to flatten. Gold & Dollar stuck in trading ranges. Ross Clark – Precious Metals, Copper, Inflation. Ross Clark – Is the Stock Market Drop Over? Gold. Eric Hadik – Cycles and the Market Downturn. Outlook for Oil, Copper and Gold. Mike ‘Mish’ Shedlock – Cryptocurrency Crash. Equity Markets. Penny Green, President & COO of Glance Technologies Inc. on Company Showcase – Glance Announces Q3 Results – Revenues Up Significantly and $9.4 Million in the Bank. Read the latest News. View the Corporate Presentation. Ross Clark – US Equities Showing Same Pattern as the 2000 Dot Com Crash? Hilliard MacBeth – OFSI New “Stress Test” for Uninsured Mortgages and the Impact on House Prices. Danielle Park – New Guidelines For the Mortgage Industry. Are Billionaires Damaging Democracy? Ross Clark – Gold/Silver Ratio. Hilliard MacBeth – Will Trudeau’s Home Buying Regulations Trigger a Real Estate Recession? Ed Steer – Price Manipulation of Precious Metals. What Can a Small Investor Do To Combat This? Brian Fowler, President & CEO of Blind Creek Resources on Company Showcase – Blende Project Update – Metallurgical Study Underway. Read the Latest News. See the Company Fact Sheet. View the Corporate Presentation. September 23, 2017 | Why Is Trudeau Intent on Attacking Job Creating Small Business? Are 100 year bonds the wave of the future? Are things setting up for another economic storm in Europe? Mike Swanson – Equity Markets, Trump. Gold, Silver and Oil. Ross Clark – Fed Rates, Bonds and Equities. Email Ross to receive Charts. 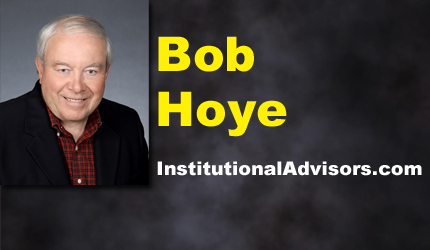 Bob Hoye – Fed Rate Hike and Canada. Canadian Federal Budget. February 17, 2017 | Is A Minor Market Correction Likely? US Treasuries possible investment protection? Adam Hamilton – Silver, Silver, Silver! Hilliard MacBeth – Declining Canadian Home Values. Payton Nyquvest – Canadian Junior Markets.